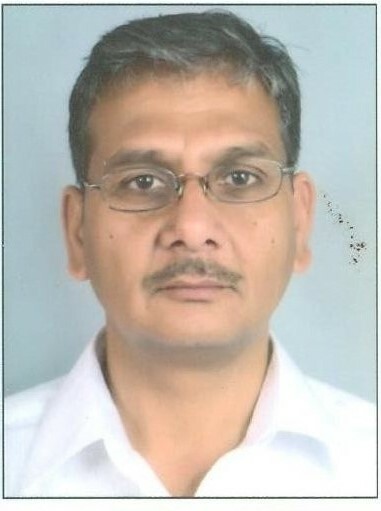 •	17th March 2010 to present : Secretary, HP Takniki Shiksha Board, Dharamshala. •	14th August 1997 to 22nd February 2000: Head of Department, Electronics and Communication Engineering, Govt. Polytechnic for Women, Kandaghat. •	State level Workshop on examination reforms in Polytechnic Education was convened on 19th and 20th March, 2018 to discuss emerging problems and probable solution in examination system, modern approach in designing of question papers and model evolution system. •	State level Workshop on effective implementation of computerised examination systems in I T I was conducted for all the Govt and Private I T Is in October, 2016. •	Appointed as member in the Technical Committee for computerisation of the examination process in the H. P. Technical University, Hamirpur vide notification dated 05-03-2013. •	Successfully introduced Bar coded OMR title page answer books in polytechnic semester examinations since May 2012. This has made the post examinations process tamperproof and results were prepared much faster and more accurate. •	Appointed as Chairman of Technical Advisory committee for the implementation of computerisation project in the Board of School Education Himachal Pradesh vide notification dated 7-6-2012. •	Paperless Admission in polytechnics was introduced by combining the Entrance Test brochure and admission prospectus in the examination session July 2010. •	Making all examination information of student Online. Such as admit cards, Date sheet, results etc. 3. Modernisation of labs under MODROB scheme funded by AICTE viz. •	CNC Machine Laboratory in the Department of Mechanical Engineering. 4. Establishment of Wireless LAN having broadband Connectivity in Institution . •	Introduced 100% Computerization in Examination System. By inviting open tenders the pre examination and post examination work was outsourced to ensure transparency, accuracy and promptness. •	Registration was introduced in all type of Examinations. •	Launched website of the board to facilitate students and institutions associated with the board. •	Introduction of new job oriented vocational courses under SCVT, conducted their examinations and certification successfully in record time. 23rd February 2000 to 15th October 2004: Deputy Secretary, HP Takniki Shiksha Board Dharamshala. •	Introduced computerisation in conducting different Semester/annual /Entrance examinations and compiling of results. •	Co-opted as Technical member by the Chairman of Board of School Education, Himachal Pradesh to introduce computers in Office automation and conduct of J.B.T. Entrance Examinations. •	Mooted and executed the idea of conduct of entrance examination with OMR techniques resulting in accuracy and speedy declaration of results. 14th August 1997 to 22nd February 2000: Head of Department, Electronics and Communication Engineering, Government Polytechnic for Women, Kandaghat. •	Sponsored under World Bank assisted project to attend three months foreign fellowship training programme at Melbourne, Australia in 1998. 13th October 1989 to 13th August 1997: Lecturer, Electronics and Communication Engineering, Government Polytechnic for Women, Kandaghat.